'Fragissimo' is an ever-bearing type of strawberry. 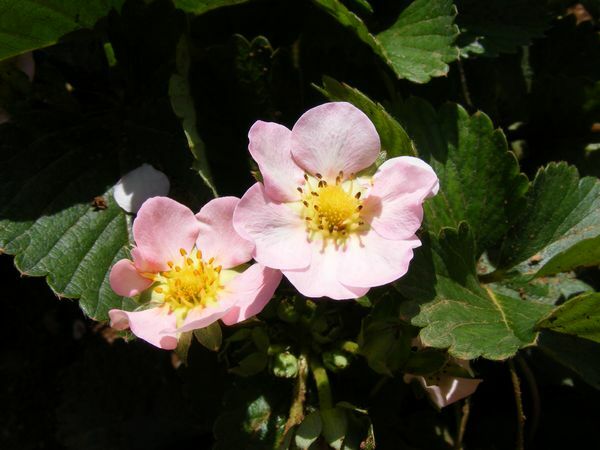 It is an evergreen rosette-forming plant with trifoliate leaves bearing white/ cream/ pink blossoms. 'Fragissimo' is winter hardy and need well drained, fertile soil in full sun. It will produce an abundance of berries for three to four years, after which they should be replaced. Strawberry plants can be grown in rows or mounds. The mounding method is best for ever-bearing types or in areas where drainage is a problem. In mounding, the plants are set at about 30-40cm apart. 'Fragissimo' will make a good container plant.